Ungir umhverfissinnar vilja vekja athygli á alvarlegum vanköntum við framlag ríkisstjórnar Íslands til Parísarsamkomulagsins 2015. Þarna forðast stjórnvöld að axla ábyrgð með því að setja Íslandi engin markmið önnur en að Evrópa í heild sinni minnki útblástur. Það gæti allt eins þýtt aukinn útblástur á Íslandi, sem er einmitt reynt að réttlæta í síðustu málsgrein framlagsins undir því yfirskyni að einstök stóriðjuverkefni vegi þyngra á litla Íslandi, án þess að taka mið af því að stóriðjumengun er vandamál á Íslandi nú þegar. Undirritaðir beina því til stjórnvalda að uppfæra skuli framlagið með afdráttarlausum markmiðum um að draga úr koldíoxíðlosun um a.m.k. 40% svo Ísland geti verið öðrum ríkjum til fyrirmyndar og lagt sitt að mörkum til að vernda fiskimið gegn súrnun sjávar, áframhaldandi bráðnun jökla og þeirri hættu á að Golf-straumurinn hægi á sér, en slíkt gæti haft í för með sér alvarleg áhrif á loftslag á Íslandi og vistkerfi jarðarinnar í heild sinni. Ungir umhverfissinnar (Young Environmentalists in Iceland) want to draw attention to serious flaws in Iceland's government's contribution to the United Nations Framework Convention on Climate Change (UNFCCC) for the upcoming meeting in Paris, November 30th to December 10th. Quoting Iceland's contribution: "Iceland aims to be part of a collective delivery by European countries to reach a target of 40% reduction of greenhouse gas emissions by 2030 compared to 1990 levels." By this choice of words the government of Iceland avoids taking responsibility by setting Iceland no conditions other than that Europe as a whole reduces emissions. That could just as well mean an increase in Iceland's emissions, which they in fact try to justify in the contribution's last paragraph, under the pretence that single industrial projects have a relatively bigger impact in "little" Iceland, without considering that industrial pollution is already a problem in Iceland. 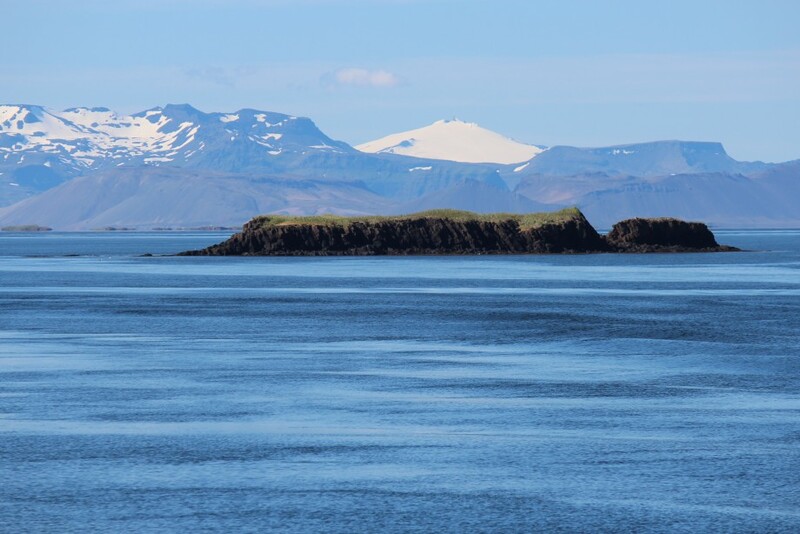 By signing this petition we urge the government of Iceland to update it's contribution to the UNFCCC by stating clearly that Iceland will reduce emissions by at least 40%. That way Iceland can be a good role model and do it's part in protecting fish stocks from ocean acidification, continued glacial melting and the danger of the Gulf Stream slowing down which could have catastrophic consequences for Iceland's climate and the earth's ecosystem as a whole. By signing, I authorize Ungir Umhverfissinnar to hand over my signature to those who have power on this issue.